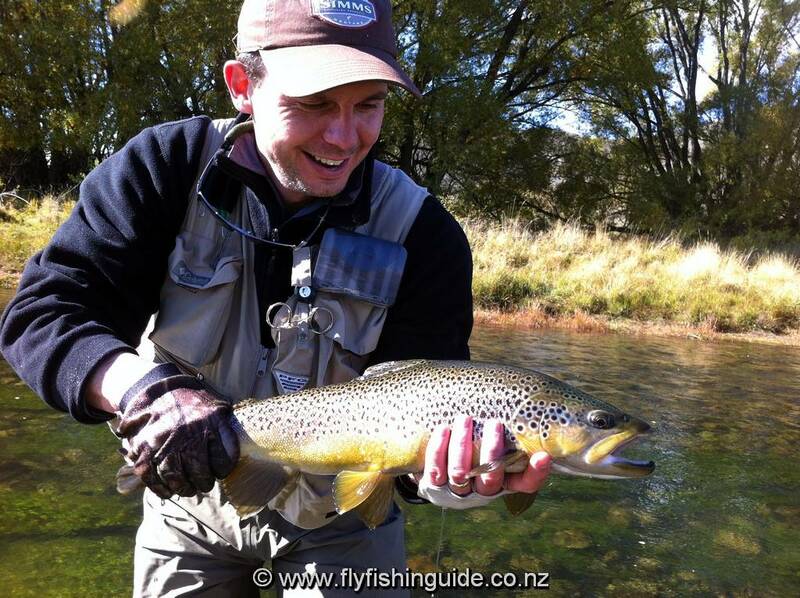 April is the final month of the season for river fishing in the Central South Island. 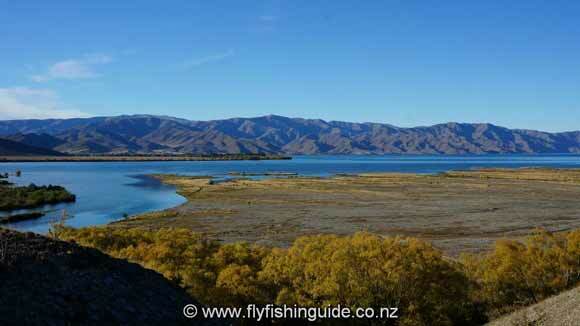 It can be a wonderful month with settled weather leading to the onset of early frosts. This in turn can produce some mid afternoon mayfly (or should that be aprilfly!) hatches when trout will feed freely on drifting mayfly nymphs and emerging duns. Don't expect to tie on any old dry and "bingo"! 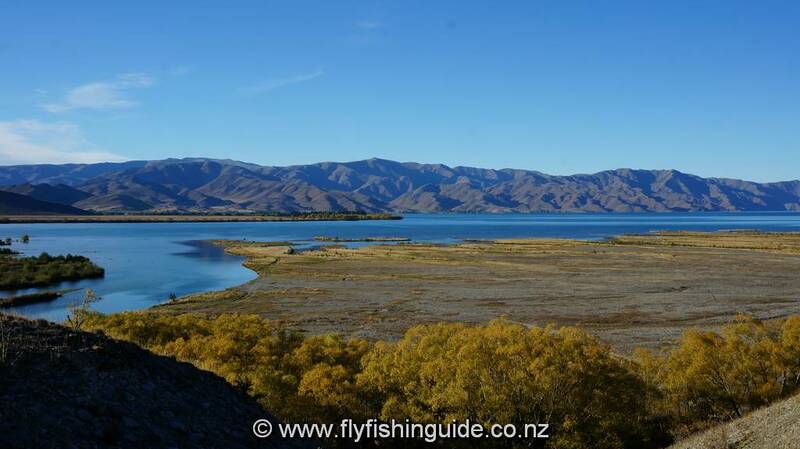 By this stage of the season, trout, browns in particular, will be fussy especially with the low flows experienced this year so it's a case of match the hatch or be skunked! Add to that the necessity of getting the drift exactly right and you have the making of some super exciting but demanding fly fishing! April for me was a month of firsts. 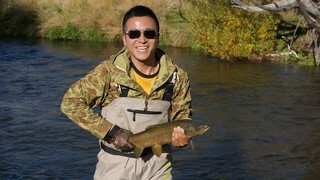 I had the pleasure of guiding Jerry a very first time fly angler from China. What made this experience even more remarkable was the manner in which Jerry chose his day with me. He simply looked on the "net" and found that fly fishing was one of the things to do in Twizel and voila! Next was Ashley who has a governmental advisory role on environmental issues in Tasmania with streams being a hot topic as they are here in New Zealand. We had a good long yarn about what is happening in both countries. From what I gathered, the Tasmanians appear to be doing a better job at protecting their waterways than we are! 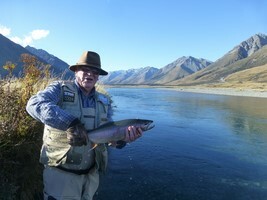 Last client of the season was Gordon, a man of the cloth, and a very keen fly fisherman to boot. 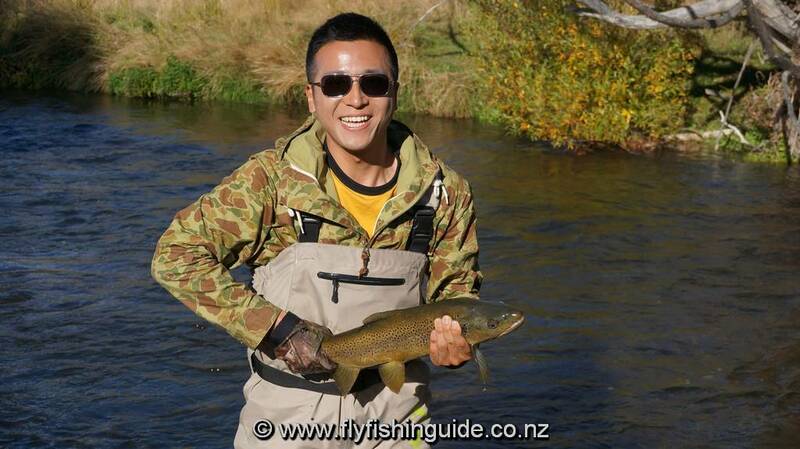 He had the ability to remain super cool while casting to, then playing and finally landing, his trout. Anglers (including the guide!) generally experience an adrenalin "rush" while all this is going on and I'm sure Gordon, although very calm on the outside, was no exception!" 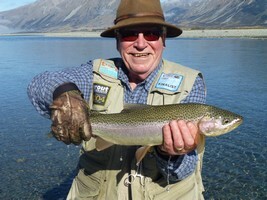 Gordon rewarded with a lovely high country rainbow .... and he does it again!